Completed The Galactic Center, last book in The Xylanthian Chronicles, and I need to say all three books are incredible. 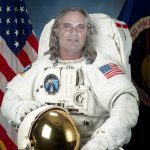 What an amazing story from the amazing imagination of Thomas Stone. How does he come up with this stuff? The story is engaging from page one and just takes you deeper and deeper. Stone’s writing style is laid back and easy. He doesn’t beat around the story-telling bush and because of it, the story flows from one adventure to another in a futuristic world Stone describes with such detail that it all comes to life. I’m serious — if you’re a reader, a fan of sci-fi, or just love good writing and story-telling, you must read The Xylanthian Chronicles. It will not disappoint. Someone asked what fiction, illusion, and reality have in common. Well, if reality really is some objective thing out there, then illusion would be something that has the appearance of reality, but isn’t; and fiction would be the story describing the illusion, which of course, is mistaken for truth. 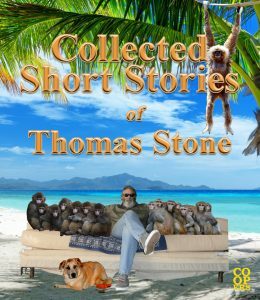 Wilkommen to a new collection of short stories by Mr. Stone called Collected Short Stories. There are ten stories in all and it’s available in ebook format from Amazon, Smashwords, Barnes and Noble, and other ebook retailers. Here is a link. Order your copy and enjoy. After completing Thomas Stone’s Xylanthian Trilogy, I’ve got to admit I am properly impressed. 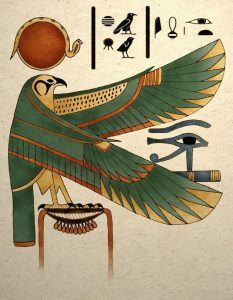 The Xylanthia books may be the best thing I have ever read. I know, I know, it sounds like a marketing ploy, or a plug for a friend, but it’s not because I mean it and by the way, I’ve never met Mr. Stone face to face. The Xylanthian Chronicles is chock full of interesting characters, fantastic situations, interstellar travel, adventure, and ideas I’ve never paused to consider. The story begins with an interesting premise: a habitable planet (Xylanthia) is discovered in the Sirius binary system. One of the corporations that runs things on earth sends a team of explorers to record and document. They encounter a geophysical anomaly arising from the conditions in the binary system and some of the team end up traveling through time and space. Meanwhile, dangerous swamp creatures start popping up and picking off the explorers. Oh, and they discover a new recreational drug derived from a curious substance that is somehow mixed up with the anomaly which turns out to be a wormhole. 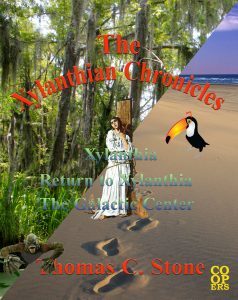 Like all Stone’s stories, The Xylanthian Chronicles moves along quickly through one adventure after another. There are harrowing escapes from a wide assortment of dangers both on Xylanthia and Earth. What a wonderful sci-fi tale reaching across three books and finally taking the reader to the center of the universe — The Galactic Center (which is the title of the concluding book in the trilogy.). Beautifully written and unforgettable. Top book of the year as far as I am concerned. Karl tells me to just say what Xylanthia is about. Well, you’d have to read it for yourself. Maybe with a cocktail. I suppose you could say the entire, three book story is about a young woman making her way in a futuristic world. 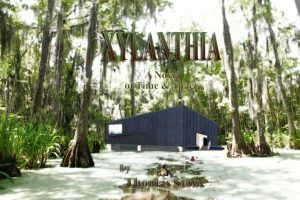 The first book, Xylanthia, is about her experience with a team of interstellar explorers on the planet Xylanthia orbiting one of the binary stars at Sirius. I would definitely be interested in acting the part but only if Cameron directs. I wanted to say more about the other two books — Return to Xylanthia and The Galactic Center, but Karl says I’ve said too much already. The Xylanthia series could easily become my new favorite. Waiting for the release date? Hm?